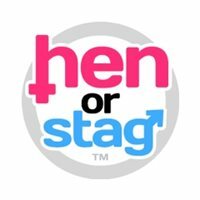 The homely Orchard Acre Farm is a truly unique hen party venue! There are numerous experiences for groups to try during a day here, from getting crafty, to having a vintage afternoon tea, to taking cooking or dance classes! Here, you and your girls can try your hand at crafting dainty glass bead jewellery, willow baskets, natural beauty products or needle crafts! The eco barn’s cosy atmosphere is an ideal venue to accommodate your hens as you use your creative flair to craft beautiful hen party favours and keepsakes. Don’t worry if you feel you’re out of your depth, as your group will have expert guidance in order to make your desired crafts. Enjoy a chat all the while and have a merry afternoon getting crafty! Alternatively, you can take a fun cookery class— a class that the team at Orchard Acre Farm specialise in. The skilled bakers at this boho farm will demonstrate how to decorate cakes and make delectable chocolates! If you wish, you can choose a hen party theme to make the photos you take that bit more special! Afterwards, you and your girls will stay in the cosy barn and enjoy an afternoon tea, sampling all your hard work in the form of delicious tray bakes. Thats right, Vintage Afternoon Teas are available at Orchard Acre Farm! The chic bohemian setting already fits the bill, so coming dressed in cute vintage attire is all you’ll need to set the scene. Relax and chat with your friends over tea and tasty treats, snapping candid pics all the while! As well as this, you can hire the barn from £150 per day, so you can stay to late after the afternoon tea and enjoy your hen night. Licensed bar facilities are also available on request, with a BYOB bar service being £125 for the group. Orchard Acre farm really has it all! You can opt to take a natural beauty masterclass with the team here, learning how to pamper each other with natural products grown in the garden! The qualified beautician will help you improve on cleansing techniques and skin care, leaving you armed with ideas to take home with you. As if that wasn’t enough, you can also choose to take a fun dance class here! Your group can choose from a range of different dance themes, all taught by a professional dance teacher that will help you build your skills. You can be guided through a range of different dance disciplines, including jive, waltz, ceili dancing, salsa and more! During the class, you will enjoy tipples and nibbles, with a practice CD to take home so you can try out the moves you learn later. If so inclined, the amazing Eco-Barn at Orchard Acre Farm can be used for beer tasting! Get an insight into home brewing beer, as well as tasting the artisan beers on offer with your girls. Gather round the big country kitchen and start the celebrations early in a relaxed atmosphere! With all these unique experiences on offer, make sure to book a hen party with Orchard Acre Farm!